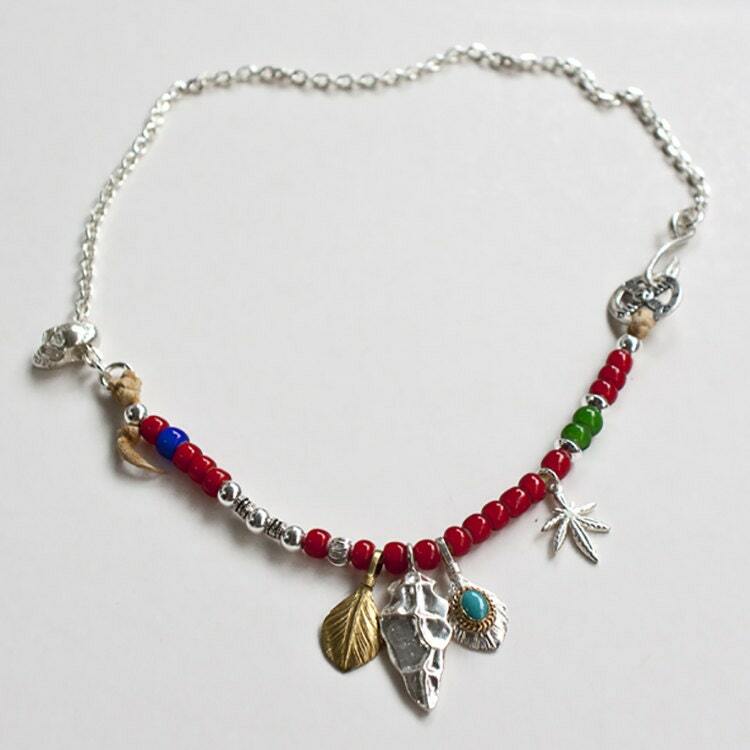 This is a multi colored beaded necklace, with a plenty of silver charms adding to its carefree bohemian vibe. 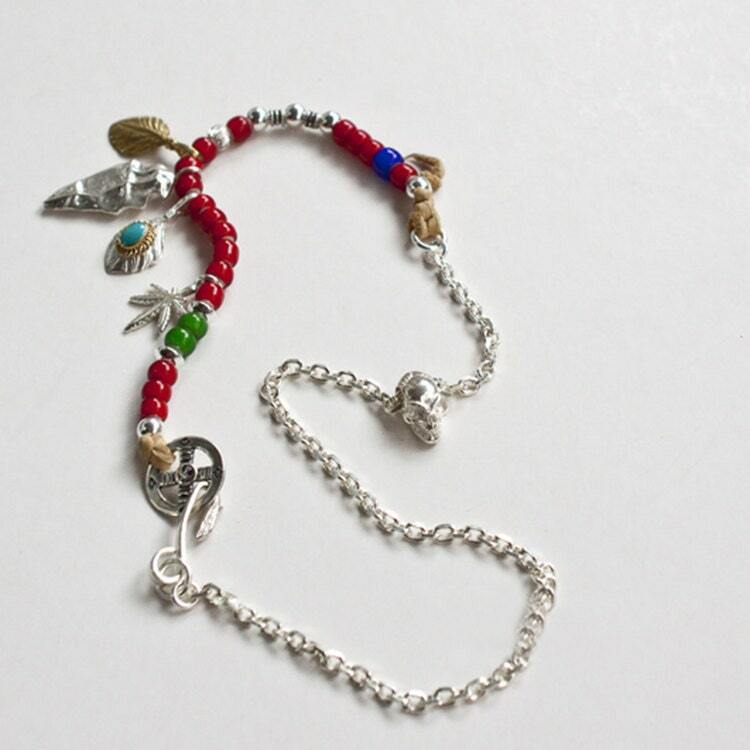 Different materials come together in melange of colors - silver, brass, Czech glass beads - everything put together on a sturdy deer leather string. A small section of a thin silver chain also forms half the length of the necklace. At the center, is the the hammered silver arrowhead charm, flanked by two feather charms - one in brass, and the other in silver and turquoise. 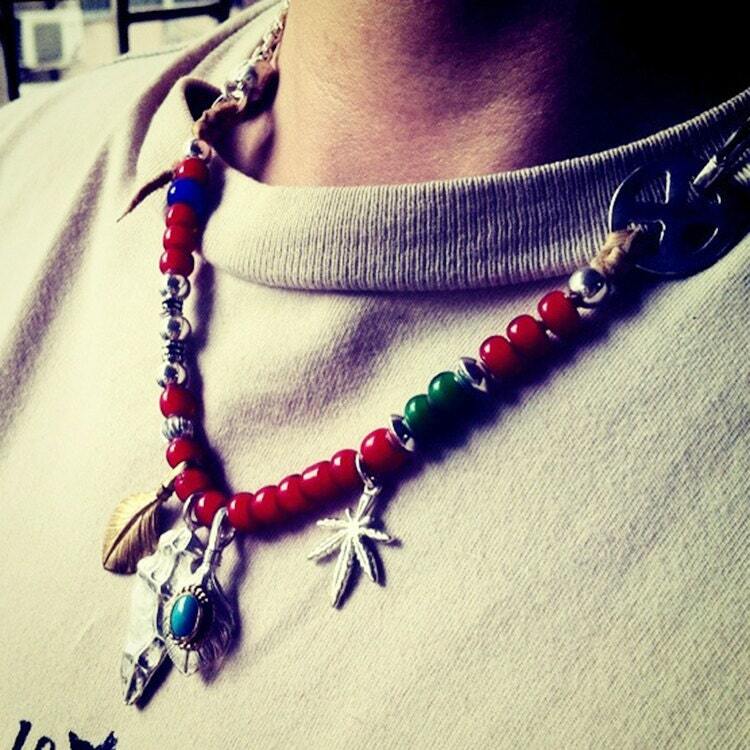 A small, palm leaf silver charm is also strung in the colored beads section. 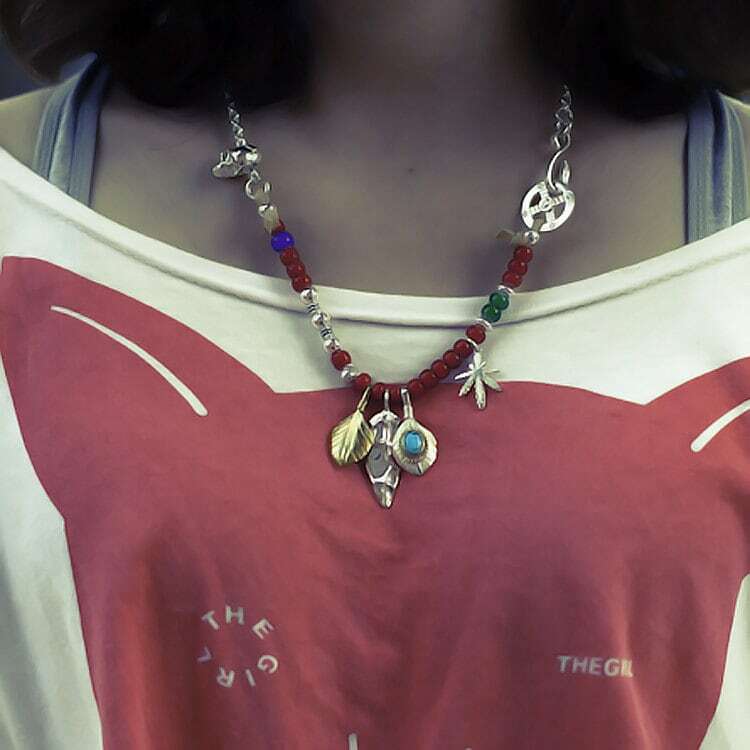 In the silver chain segment, a tiny silver skull charm an element of morbid humor, while another engraved sun face charm forms a part of the closing clasp. A delightfully casual, colorful tribal style beaded necklace - will look great with casual outfits and wearing over the weekends, and in the outdoors. 925 sterling silver, brass, turquoise, Czech glass beads, deer leather.